We have the Café onsite here at Under 1 roof and all our nursery food comes freshly cooked from their kitchen daily. Also the Bakery, Workshop and Party Supplies shop provides Invitations, Bespoke Cakes, Fun Edibles, Decorations, Balloons, Party Bags, Sweetie Cones, Candy Floss Machine Hire, Face Painting & Cupcake Parties. 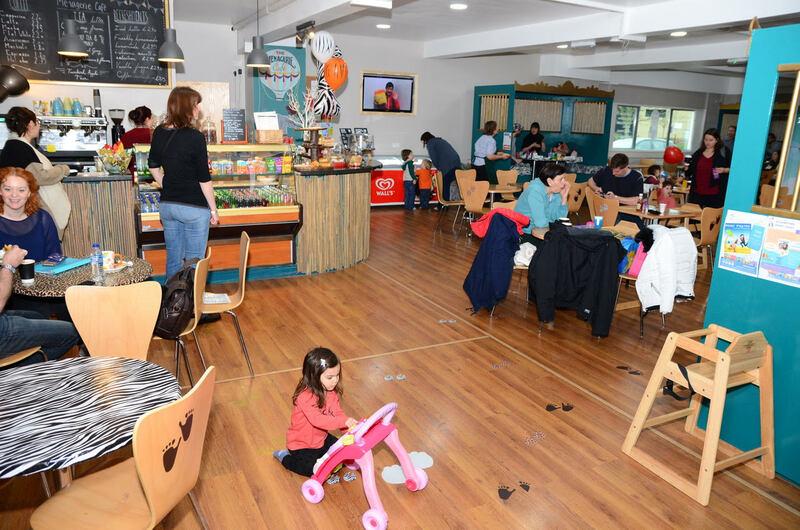 “The Menagerie” – our family-friendly cafe – is run by a twice earned award-winning local cafe-owner and mum of three. The cafe offers a nutritious, healthy menu for the whole family to enjoy. Drop your children at the nursery, and stop for breakfast. Grab a coffee on the way to work. Bring your children to a class, and treat them to lunch with their “classmates” afterwards. 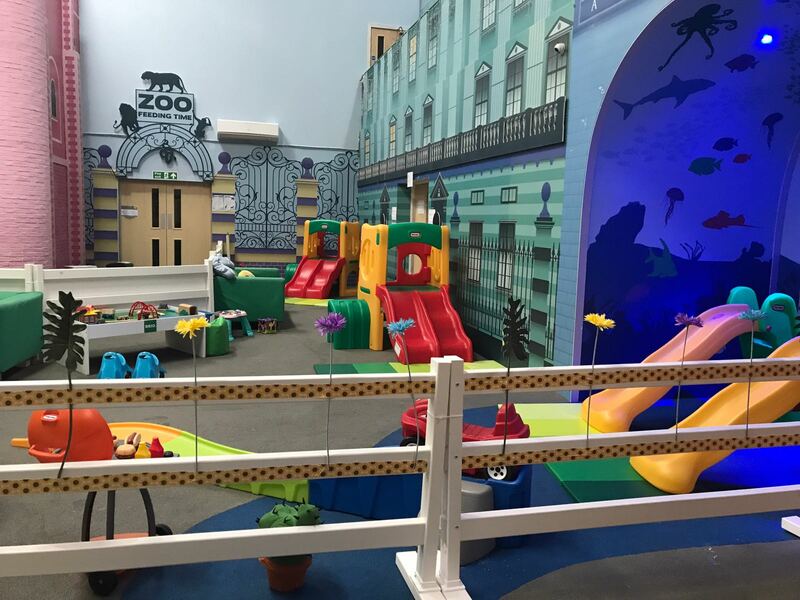 Sit and enjoy coffee with friends before your little ones have fun on the soft-play. 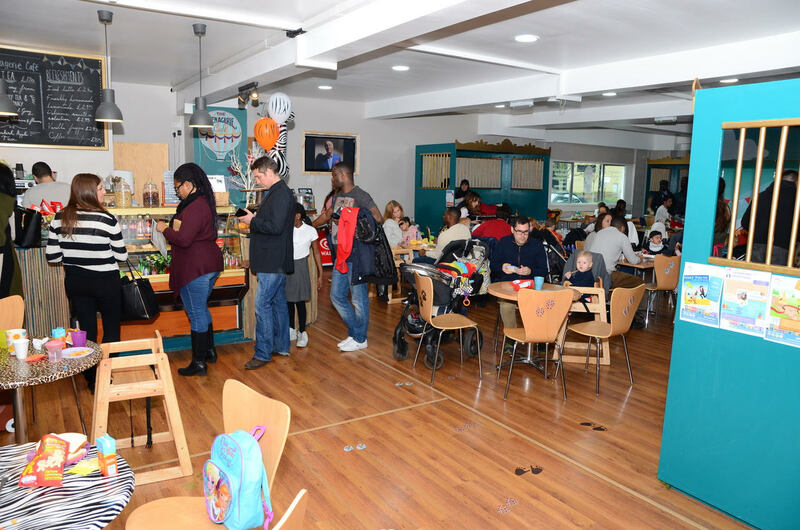 The Cafe is a mini-hub for parents and children with great food and a happy atmosphere. Family dining is coming back in fashion! 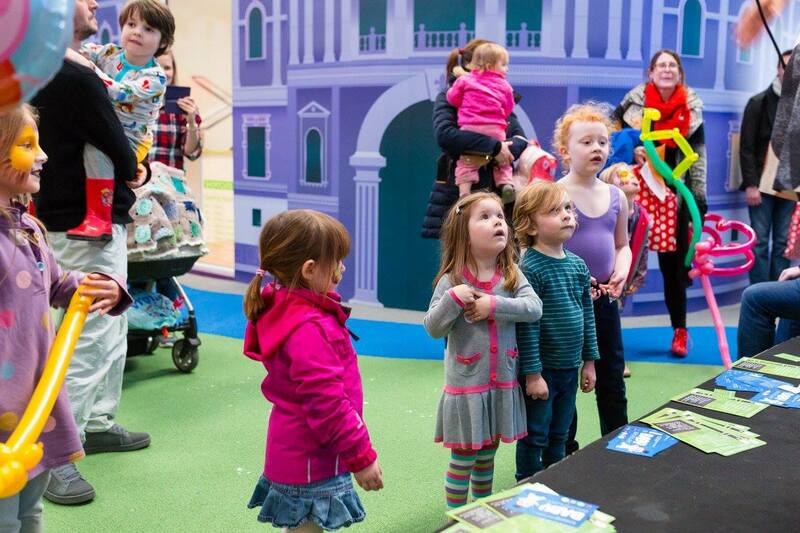 Under 1 Roof will be open 7 days a week, and the Cafe is at the heart of the centre. funfetti are here every step of the way to help plan your party to make it a magical day for your little ones. 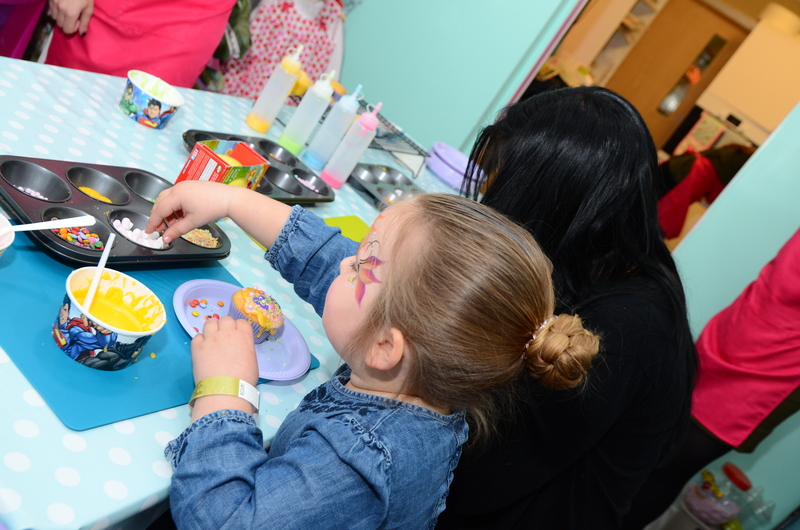 We offer the following: Room Set Up, Invitations, Bespoke Cakes, Fun Edibles, Decorations, Balloons, Party Bags, Sweetie Cones, Candy Floss Machine Hire, Face Painting & Cupcake Parties. Once you have booked your room through Party Here come to us with a theme or idea and we will send you a list of all the possibilities.